For more than 2000 years, Chinese herbalists have valued Astragalus for its adaptogenic properties, as well as for its ability to tonify the body's "vital force" known as the Qi. 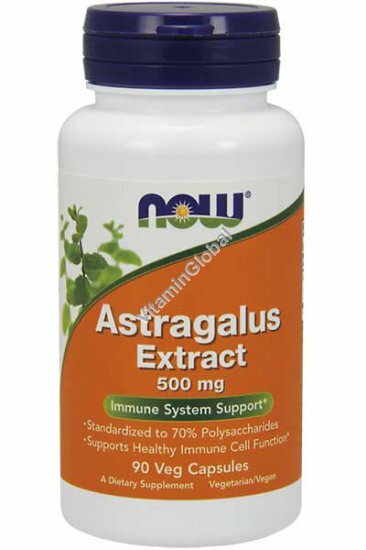 * More recently, Astragulus has been found to support healthy immune function through numerous mechanisms. * Non-clinical studies using Astragalus have demonstrated it can support the healthy production of and activity of specialized white blood cells. Astragalus has also been studied for its role in the support of healthy liver and vascular function. Directions: Take 1 capsule 1 to 3 times daily as needed, preferably with food. Available in packages of 90 Veg Capsules.